A comprehensive and unbiased search of the biomedical literature is one of the key differences between a systematic review and a traditional review (1). Having the best evidence with which to make treatment decisions, i.e., good controlled clinical trials (CCT) is exceedingly difficult, with one of the reasons being the fact that authors of conventional reviews do not describe literature search methods with sufficient clarity. In addition, the term CCT was not incorporated into electronic bibliographic databases until 1990 and, as a consequence, CCTs published prior to this date were classified under broad categories. Lastly, there are data suggesting that the descriptors available in bibliographic databases have not always been used consistently by personnel responsible for coding. Therefore, any search performed exclusively by electronic means is insufficient; it has been shown that even the most experienced documentalist, adopting an optimal search strategy, cannot find more than half of the trials available in Medline (1,2,3). To ensure the reliability of CCT literature searches, it is necessary to implement multiple methods to identify eligible articles, including a rigorous and comprehensive handsearching strategy. Handsearching is defined as a progressive, page-by-page examination of all issues of a given journal, assessing all sections until each article can be either dismissed or classified as a CCT. This essential task is possible thanks to the collaboration of many volunteers, who although often are not experts in healthcare, have achieved very satisfactory results, such as identifying 90% of relevant CCTs with 20% false positives rates (4). Handsearching is, therefore, an essential addition to electronic searches. 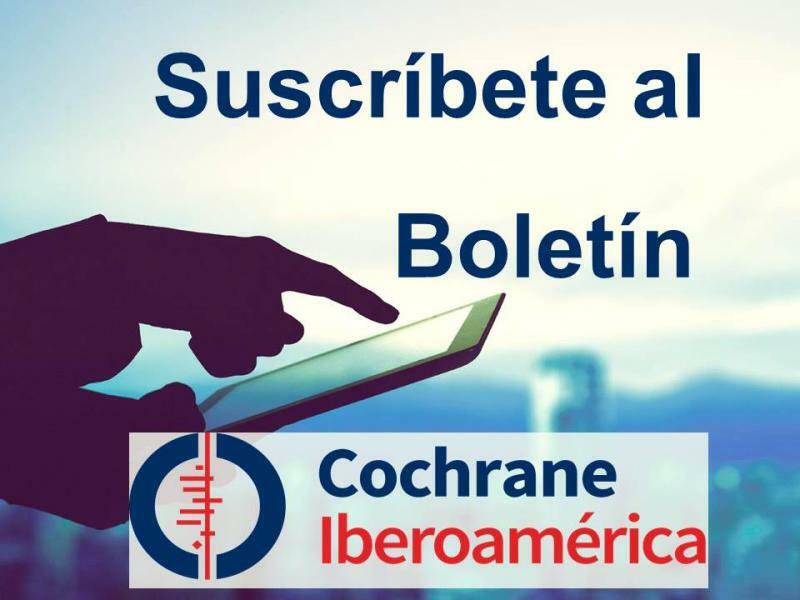 To complete this task in the most efficient manner possible, the Iberoamerican Cochrane Centre (CCIb) coordinates the handsearching of CCTs conducted in Ibero-America (5). If you are interested in taking part in this wide-ranging and important task, please do not hesitate to contact us! 1. Dickersin K, Scherer R, Lefebvre C. Identifying relevant studies for systematic reviews. BMJ 1994; 309:1286-91. 2. Lefebvre C. The Cochrane Collaboration: the role of the UK Cochrane Centre in idetifying the evidence. Health Libraries Review 1994; II:235-242. 3. Mulrow CD, Oxman AD (eds). Cochrane Collaboration Handbook [updated September 1997]. In: The Cochrane Library [database on disk and CDROM]. The Cochrane Collaboration. Oxford: Update Software; 1994, issue 4. 4. Jadad AR, Jamal S, Caroll D, McQuay HJ. Can volunteers with no research experience hand search medical journal effectively to find randomized controlled trials?. Control Clin Trials 1994; 15:62-73. 5. Martí J, Bonfill X, Urrútia G, Lacalle JR, Bravo R. Identificación y descripción de los ensayos clínicos publicados en revistas de medicina general e interna durante el período 1971-1995. Med Clin (Barc) 1999 112 (Supl. 1): 28-35.